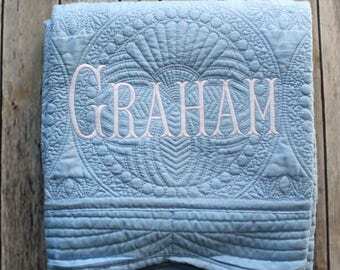 This listing is for a personalized monogrammed gray baby quilt for your sweet baby girl. 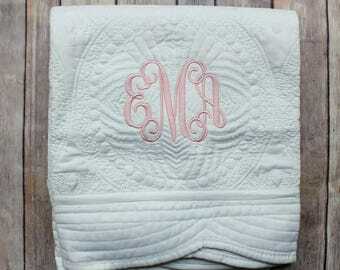 The scalloped edges of the blanket add a sweet detail, and the full name monogram make this quilt extra adorable! Thank you so much! 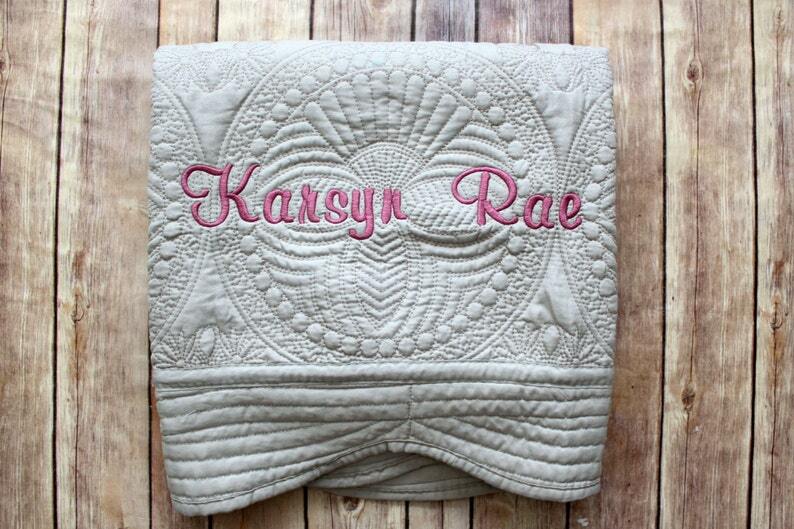 The blanket is absolutely perfect and beautiful! Thank you for the rush order. I love it so much. This is the third blanket I've ordered, and always surprised at how beautiful each one turns out.